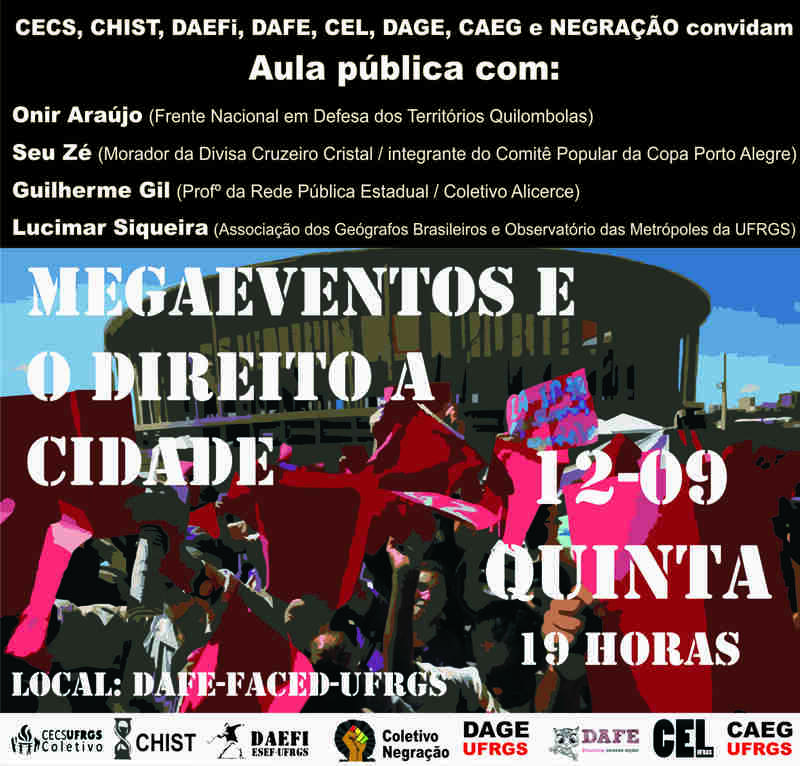 CONVIDAMOS TOD@S ESTUDANTES A PARTICIPAR DO DEBATE SOBRE MEGAEVENTOS E DIREITO A CIDADE. DIA 12 DE SETEMBRO ÀS 19H NO DIRETÓRIO ACADÊMICO DE EDUCAÇÃO DA UFRGS. (antigo bar da FACED). This entry was posted on 05/09/2013 às 11:54	and is filed under Sem-categoria. You can follow any responses to this entry through the RSS 2.0 feed. You can leave a response, ou trackback from your own site.